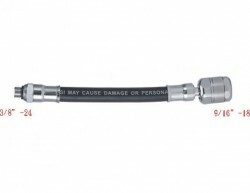 UltraFlex Low Pressure Hose 6" Inches "Black"
UltraFlex Low Pressure Hose 9" Inches "Black"
UltraFlex Low Pressure Hose 20" Inches "Black"
UltraFlex Low Pressure Hose 21" Inches "Black"
UltraFlex Low Pressure Hose 22" Inches "Black"
UltraFlex Low Pressure Hose 24" Inches "Black"
UltraFlex Low Pressure 24" Inches "Yellow Hose"
UltraFlex Low Pressure 26" Inches "Yellow Hose"
UltraFlex Low Pressure Hose 26" Inches "Black"
UltraFlex Low Pressure Hose 28" Inches "Black"
UltraFlex Low Pressure Hose 30" Inches "Black"
New! 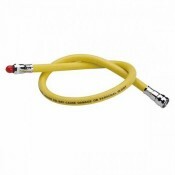 UltraFlex Low Pressure Hose 32" Inches "Black"
UltraFlex Low Pressure 36" Inches "Yellow Hose"
UltraFlex Low Pressure Hose 36" Inches "Black"
UltraFlex Low Pressure 40" Inches "Yellow Hose"
UltraFlex Low Pressure Hose 42" Inches "Black"
UltraFlex Low Pressure Hose 60" Inches "Black"
UltraFlex Low Pressure Hose 72" Inches "Black"
UltraFlex Low Pressure Hose 84" Inches "Black"
27" Low Pressure Black Rubber Hose w/ swivel on the end! 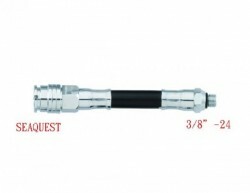 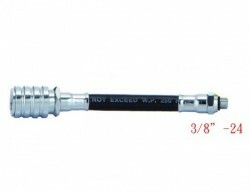 40" LP Hose 1/2" Inch End!